Shibuya Station, Hachiko, and Shibuya crossing are known around the world for crowds of pedestrians and high energy. 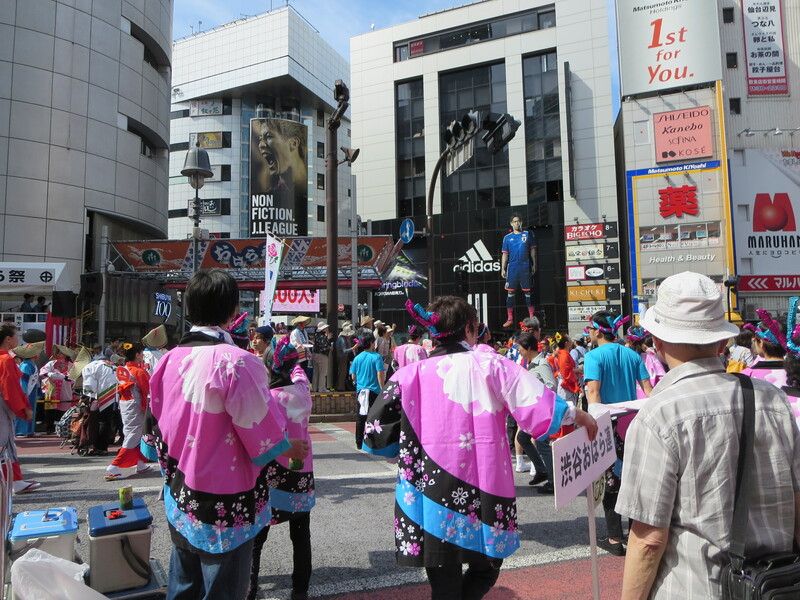 When Kagoshima Festival came to town not long ago, it brought even more energy and color to the area. 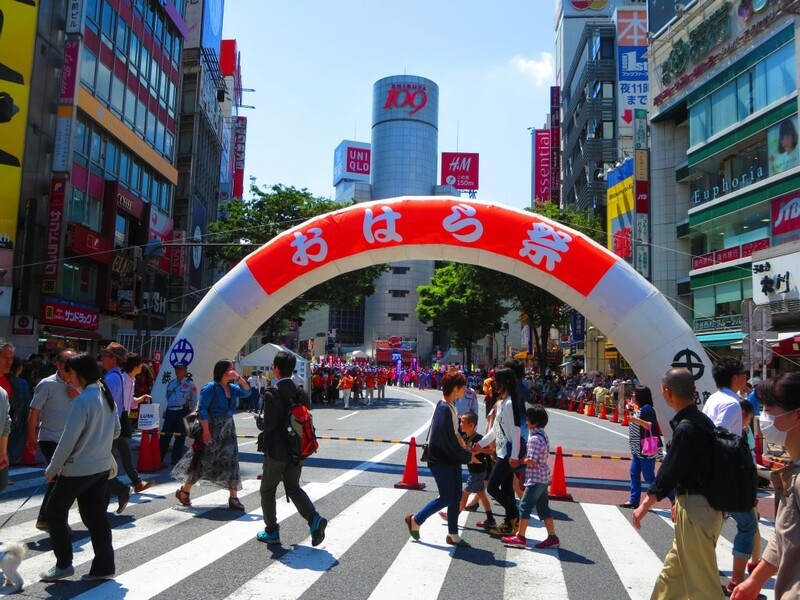 On the weekend of May 17-18, the main streets of Shibuya by the famous crossing were closed momentarily for a festivity of massive proportions: Kagoshima Festival. While the events that made up the festival took place on both days, the highlight was the parade, which began around 12:50pm on Sunday. 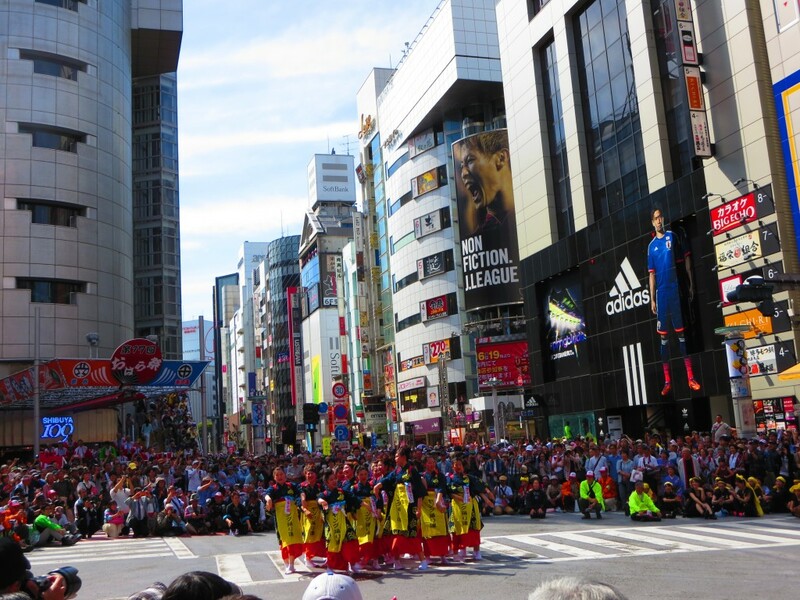 Featuring dances from around Kagoshima area by numerous troupes of dancers from young to old, the parade was vivid and interesting to watch. From the 24th floor of the Shibuya Tokyu Excel Hotel above Mark City, the view was even more eye-catching. Instead of the usual throng of crowds and sea of vehicles, the streets were filled with colorful, moving blocks resembling a piece of art. The music and noise of the crowds could be heard from far away as everyone joined in the festive energy. Other events throughout the weekend included: vocal performances, regional specialty items for sale, information about Kagoshima, and many more. Crowds gathered at the closed off intersection in order to watch the festivities, as others shopped around for regional goods. Because Kagoshima is very far from Tokyo, the event was a great opportunity for city-dwellers to enjoy the offerings of another prefecture. While this event only comes once a year to Tokyo, visiting Kagoshima is always an option for travelers. 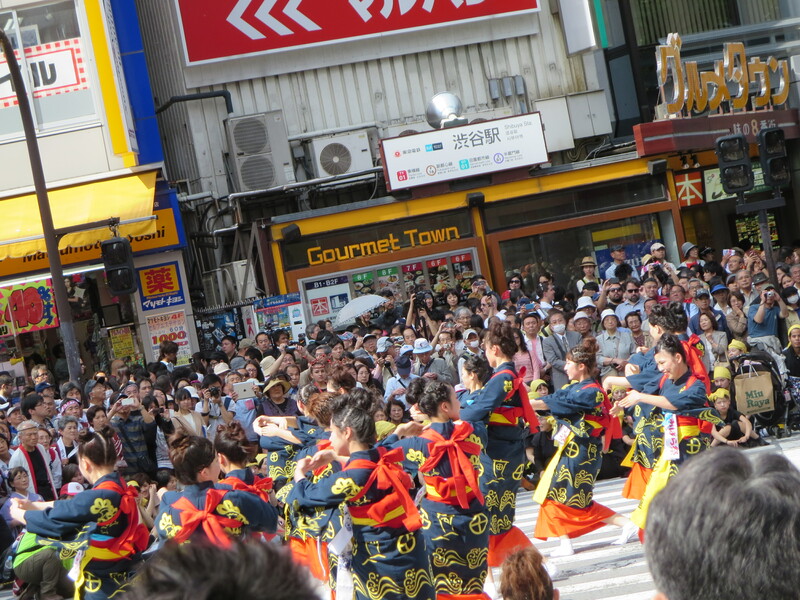 With such beautiful, colorful dances and activities, Kagoshima is undoubtedly worth a visit.